Geopolitical location, an abundance of fish and huge O&G reservoirs make the South China Sea (SCS) particularly attractive to the countries that all lay claim to parts of it, such as China, Taiwan, the Philippines, Malaysia, Brunei, Vietnam, Indonesia, Singapore, Thailand and Cambodia. While the Chinese National Offshore Oil Company (CNOOC) estimates the SCS holds around 125 billion barrels of oil and 500 trillion cubic feet of natural gas in uncorked reserves, the U.S. Energy Information Administration (EIA) estimates the SCS contains only approximately 11 billion barrels of oil and 190 trillion cubic feet of natural gas in proven and probable reserves, although the EIA admits this figure could increase pending geological surveys of peripheral locations. Multiphase pump technology allows increased development of remote location, deepwater plays and for fields deemed uneconomical due to low flow pressure. 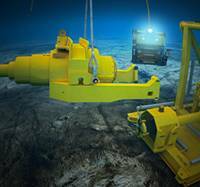 With the ability to handle high gas volumes as well as potentially reducing the risk on the environment, multiphase pumps are being increasingly used for subsea and downhole applications. Selection of multiphase boosting options remains a bit subjective and is frequently influenced by the seller’s informationwhich may mask potential limitations of this emerging technology. Information on multiphase pumping tends to focus on a certain pump type for a specific field application, but does not provide more-generalized criteria for the selection of multiphase boosting solutions from among those available in the market. The auction of Libra pre-salt field, forecast to contain between 8 and 12 billion barrels boe in recoverable reserves, was Brazil's first bidding round in the pre-salt area, and failed to meet the high expectations placed on it by the Brazilian government, yet the government, the ANP (National Oil Regulator) and Petrobras are highly satisfied with the results because they managed to attract important and experienced partners in Shell and Total, along with the high rolling Chinese companies. Despite a nine-month global publicity campaign and predictions of fervent bidding by as many as 40 firms, the license was awarded to the only consortium to register a bid. Another controversial state controlled company PPSA will oversee the contract’s implementation, having both voting and veto rights. Pre-salt and post-salt exploration in the Campos, Santos and Espirito Santo basins along Brazil’s southeast margin has yielded extraordinary success, while their southern sister, the relatively unknown Pelotas basin, has seen little attention for over the last ten years, despite displaying clear direct hydrocarbon indicators in previous seismic surveys. 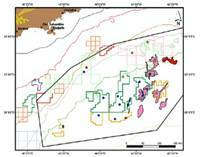 However, a new 2D seismic program acquired in 2013 by Spectrum Geo Multi-Client is revealing new evidence for sand-rich systems and oil plays, making the deepwater Pelotas basin an excellent choice for blocks to be nominated in Brazil’s upcoming 13th bidding round, which may take place sometime in 2014. The Offshore Technology Conference Brasil 2013, was only the 2nd time the conference was held in Rio de Janeiro, Brazil, yet it was obvious that the conference had grown in size and scope. During the 3 days a long list of interesting and even some exiting Technical Sessions took place, addressing everything from Local Content to the latest in Deepwater Technology. After the Opening Session on Tuesday October 29th, which was presented by OTC and IBP (Brazilian Petroleum Institute) senior executives and the OTC Brasil Technical Program Chairman, the main event was the Topical Luncheon on Planning and Management of Offshore Oil Opportunities in Brazil: Petrobras Perspective, which had as its speaker Petrobras CEO Maria das Graças Foster. MMT is a Swedish marine survey company offering turnkey services, including two remotely operated towed vehicles (ROTV) equipped with various survey equipment for complete geophysical surveys. MMT has now upgraded the systems to be fully equipped with side scan sonars and sub bottom profilers, in addition to multi-beam echo sounders, inertial navigation system and doppler velocity log. This means a complete geophysical survey can be done from this platform in a speed of 6 knots and down to a water depth of 400 meters. The advantage of the ROTV is that it is a powerful tool for accurate line keeping during a survey. 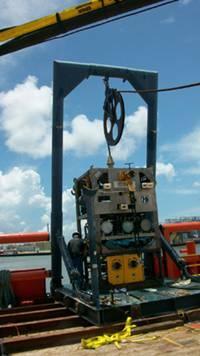 The upgrades system enhances the control of the tow-fish and allows both a constant altitude above the seafloor as well as maintaining the planned survey lines. The SeaBED AUV, developed by WHOI scientist Hanumant Singh and colleagues, is an AUV that can fly slowly or hover over the seafloor to depths of 6,000 feet (2,000 meters), making it particularly suited to collect highly detailed sonar and optical images of the seafloor. SeaBED flies about 8 feet (2.5 meters) above the seafloor, flashing its strobe light and snapping a photo every three seconds. It maintains a constant altitude and speed of a ½ knot. Over the last seven years SeaBED-class AUVs have shown their versatility on missions ranging from shallow coral reef surveys to searches for deep-sea hydrothermal vents, in environments ranging from the open ocean to the dense ice cover of the Arctic. 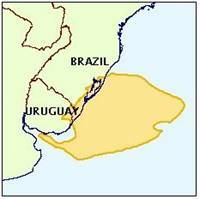 Few people acknowledge this but the exploratory campaign that led to the 2006 discovery by Petrobras of the Tupi (renamed Lula) field, at the Santos Basin in Brazil was partially triggered by early pre-salt finds in West Africa and the knowledge that the petroleum systems on both sides of the South Atlantic were similar. With the experience gained from drilling Lula and other subsequent pre-salt discoveries in Brazil, interest returned to the pre-salt in Angola’s conjugate Kwanza-Benguela and Namibe Basins. The common origin of the reservoirs and similar tectonics increased the belief that similar plays should exist in Angola. The Santos Basins is a major hydrocarbon basin along Brazil’s Atlantic coast. Galp Energy, which is Portugal’s major O&G operator, is aiming at increasing its investments in Brazil through acquisition of new block during Petrobras’ pre-salt bidding round next October. Galp is already considered a preferred partner by Petrobras as can be seen by the fact that Galp currently partners Petrobras in four deepwater pre-salt blocks in the Santos Basin, with the biggest blocks being Lula and Cerambi, both large pre-salt plays, which are producing. Earlier this year Galp again partnered Petrobras in acquiring nine blocks in the Parnaíba, Potiguar and Barreirinhas Basin, during the 11th bidding round which mainly encompassed block along Brazil’s Northeast Coast and Equatorial Margin. The R/V Meteor research ship arrived in Fortaleza, Ceara, on Brazil’s Equatorial Margin last Friday, June 28th. The Meteor which has a complement of 30 scientists of different nationalities, including one Brazilian, left port on Monday as it begins another Atlantic crossing to Namibia in West Africa, where it is due to arrive on July 29th. Along the voyage the ship will be collecting samples and data from deep waters, to be analyzed by a multidisciplinary team of researchers, composed of chemists, biologists and physicists. The only Brazilian aboard is Marcio Pereira, a 63 year old professor of Oceanographic Physics from the Geophysics department of the Federal University of Rio Grande do Norte (UFRN), whose studies will be concentrated in variations of marine currents. 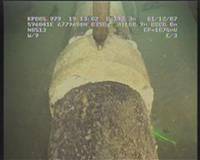 Deepwater O&G pipelines, used to transport oil and gas from offshore production units to onshore refineries, are subjected to the corrosive effects of salt water and to massive internal and external pressures. The risk of structural collapse in a pipeline is largely dependent on the levels of internal and external corrosion affecting pipe sections and on the amount of internal and external pressure on the pipe. Corrosion is a time dependent phenomenon that usually requires several years to produce a corrosion defect sufficiently large to cause a significant reduction in the collapse pressure of a pipeline. Consequently during installation it is considered that the pipeline is free of any metal loss due to corrosion. Liquid hydrocarbon fuels can be produced from associated natural gas via a well-known catalytic chemical reaction called Fischer-Tropsch (FT) synthesis. The FT synthesis is a collection of chemical reactions that converts a mixture of carbon monoxide and hydrogen into liquid hydrocarbons. It was first developed by Franz Fischer and Hans Tropsch at the "Kaiser-Wilhelm-Institut für Kohleforschung" in Mülhei an der Ruhr (Germany) in the 1920s. During World War II, FT synthesis provided the needed liquid hydrocarbon fuels for the German war effort. Later, facing isolation during the apartheid era, South Africa turned to FT synthesis from coal gasification to supply significant quantities of its hydrocarbon fuel needs. As gas flaring becomes more unacceptable from political and environmental viewpoints, oilfields with no viable associated gas solution may be required to curtail production or in the extreme case, cease production entirely. There is evidence globally that this is starting to occur and proposals for new oilfield projects in remote or deepwater locations must increasingly demonstrate how the associated gas will be processed without continuous flaring. Gas re-injection sometimes offers a solution but this is expensive for deep wells and not desirable for all reservoir structures. Gas-to-liquids (GTL) processes enable monetization of remote natural gas or other gaseous hydrocarbons by converting them into sulfur-free synthetic crude oil that can be easily transported by tanker. The extraordinary growth of the world subsea market over the past decade and the raising demand for O&G plays in deep and ultra-deep waters to begin production and for the deep and ultra-deep water drilling to continue in Brazil, at the GoM and in WA, has led to the development of a range of new offshore field development and support vessels, including a large new pipelay vessel, currently laying its pipelines along the GoM. Since 2012 Saipem has been operating the MV CastorOne, it is a ship-shaped pipelay vessel with an overall length of 330 m (excluding stinger) and DP 3 capable. The CastorOne was classed by ABS (American Bureau of Standards) and is also Ice classed, capable of berthing 700. With the continued increase in deepwater drilling off the coast of Brazil, it is good to see that Petrobras, Brazil’s national operator, will soon have a well containment device ready for immediate deployment in case of a deepwater blowout such as was experienced in the Deepwater Horizon tragedy at the GoM. According to a Petrobras drilling inspector who prefers to remain anonymous, the Brazilian super-major player believes that their well drilling and completion systems are totally reliable as long as their safety procedures are followed, however, they are taking no chances and have joined forces with other major operators to increase drilling, completion and production safety standards worldwide. Back in 2009 I asked a good friend of my late father, who happened to be a long time Petrobras geologist, if he really knew the full potential of the pre-salt, after a while he looked up and said no not really, I know there are big fields out there, probably up to 10 billion boe in some reservoirs, possibly much more... Well, Petrobras kept on drilling and when Libra was found northeast of the Lula field (5 to 8 billion barrels boe), in 2010, the expectations ran high. Maybe 3.7 billion boe, maybe 15 billion boe. Probably 7.9, those are the numbers the ANP had in 2010. By May 2011 the ANP was downgrading it to 5 billion barrels boe. Azimuth Thrusters have been propelling deepwater drillships for a number of years now. Not only do they propel the drillships from ports to their drilling stations but also undertake the vital task of maintaining the ship’s position during drilling operations. As most people know deepwater drillships do not anchor but maintain dynamic positioning through the use of groups of thrusters. Depending on the size of the drillship, these may be grouped in threes or fours, and are always positioned fore and aft on traditional drillships. These dispositions vary in semi-submersible drillers and cylindrical drillers such as those developed and used by Sevan Drilling.